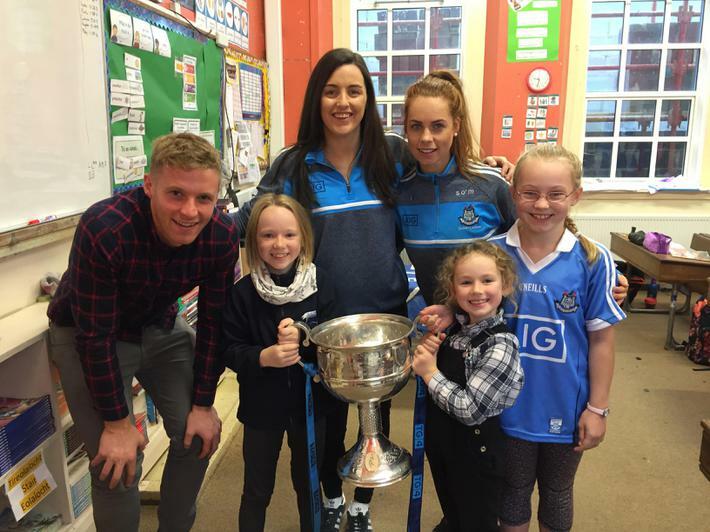 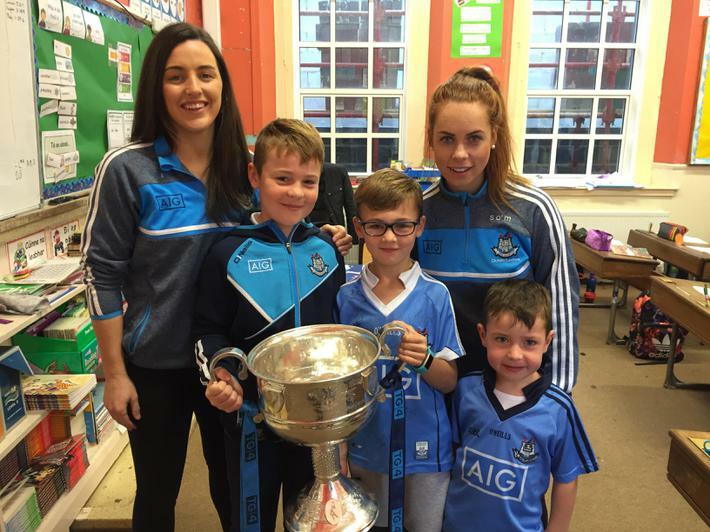 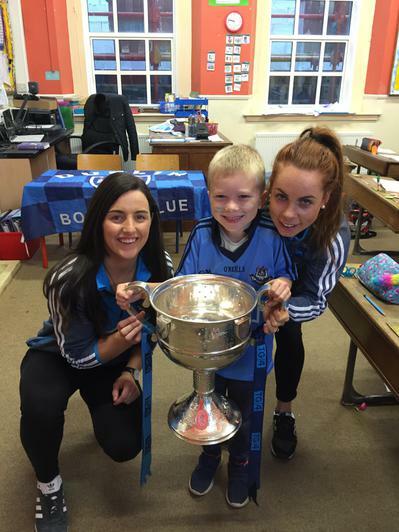 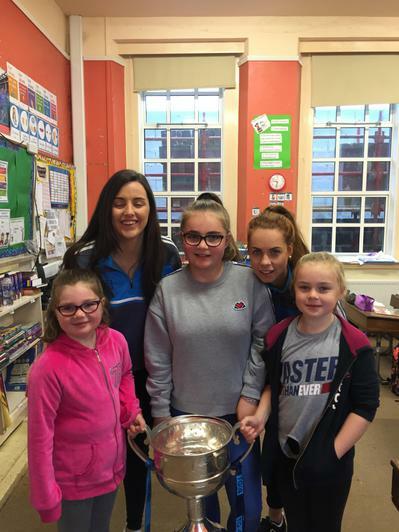 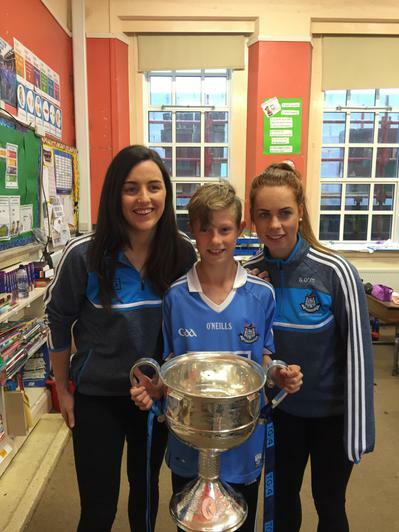 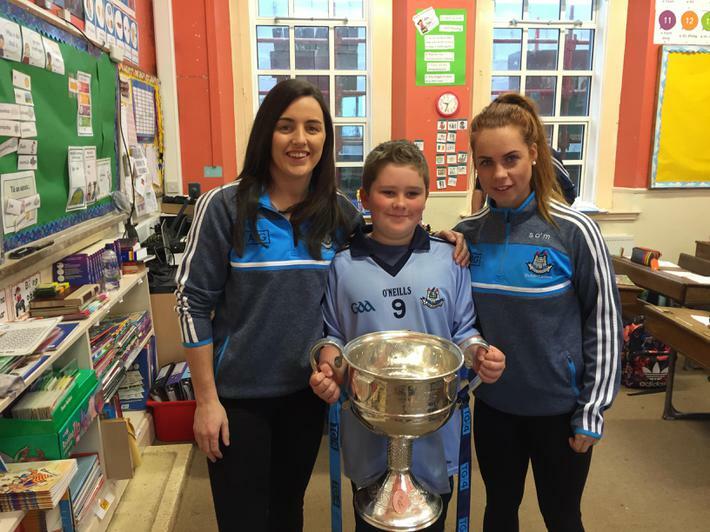 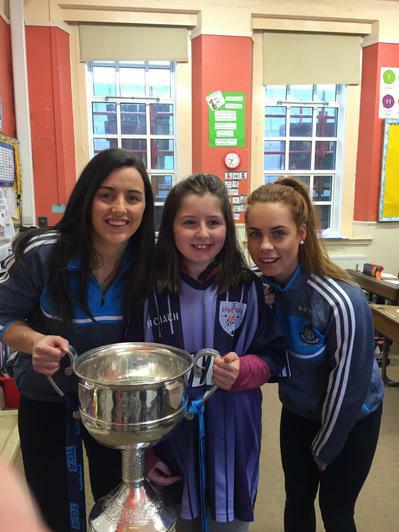 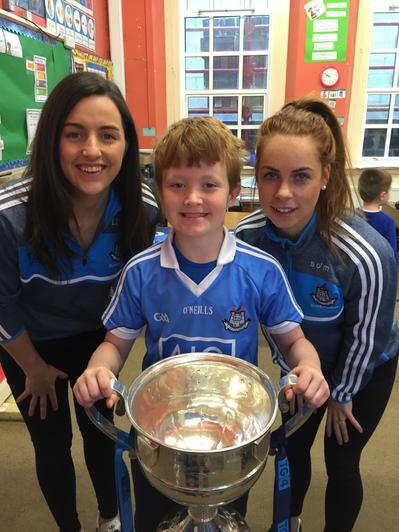 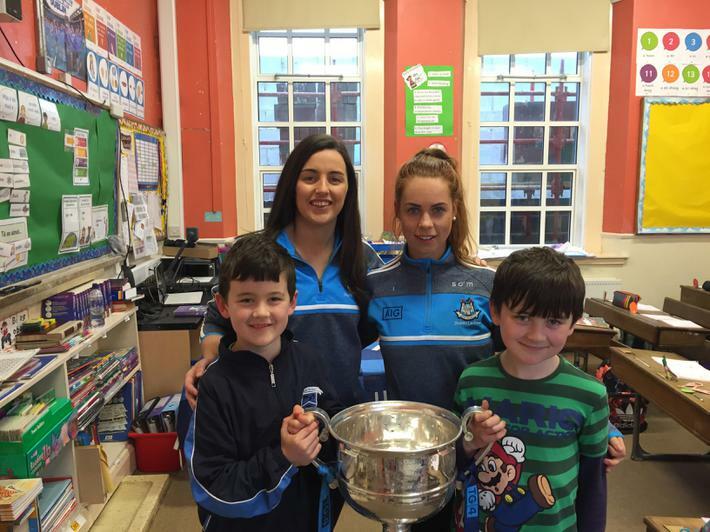 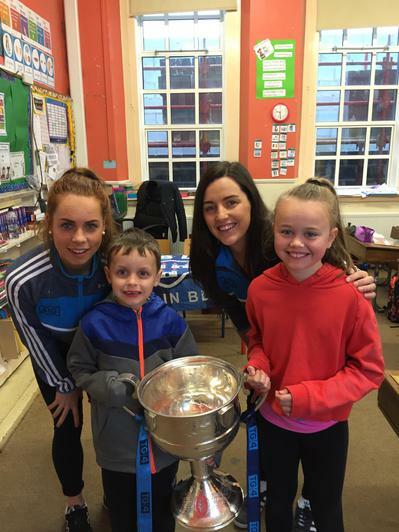 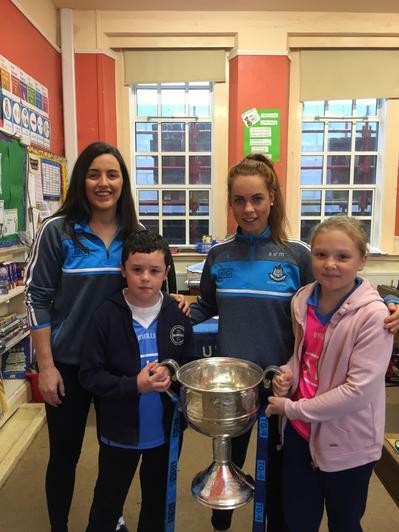 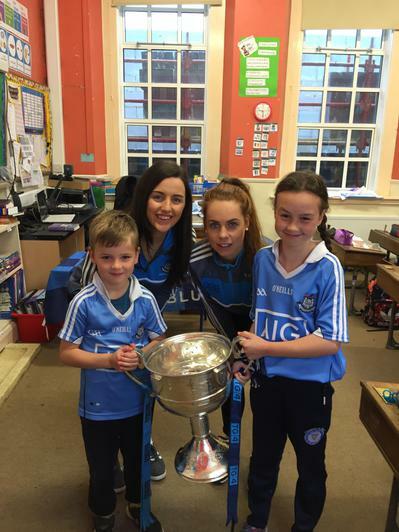 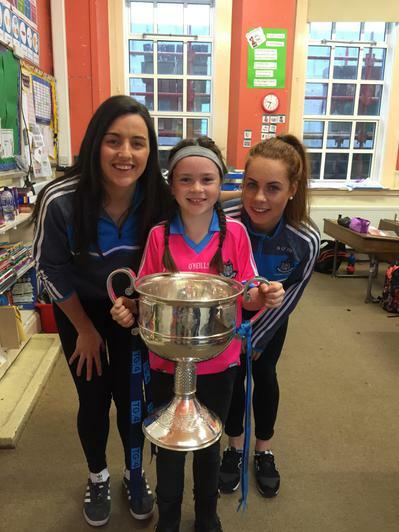 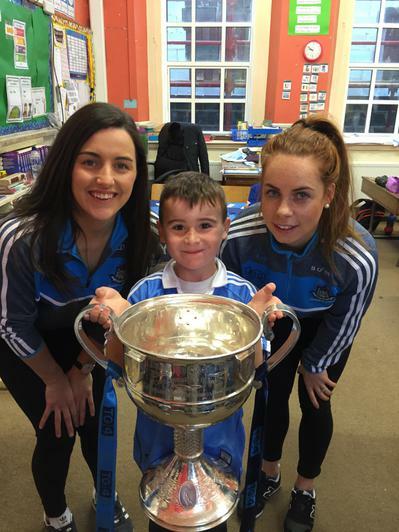 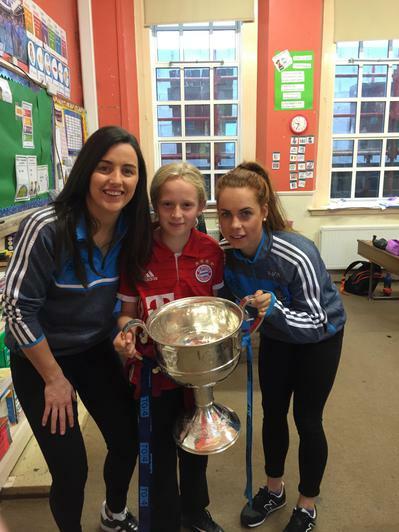 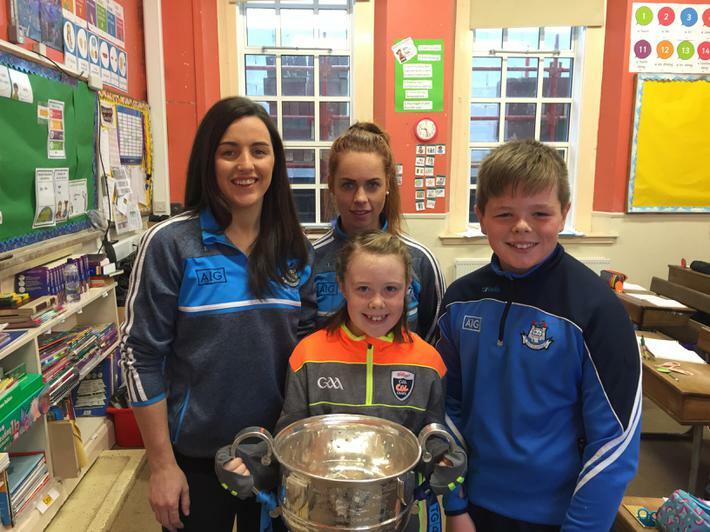 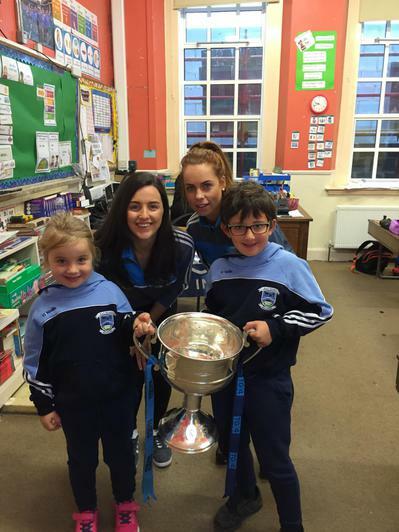 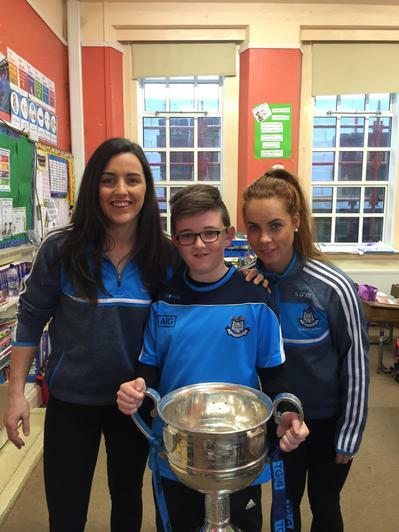 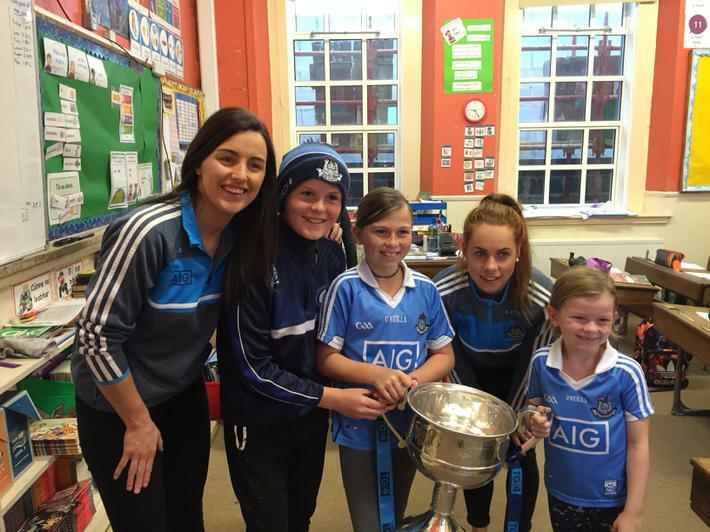 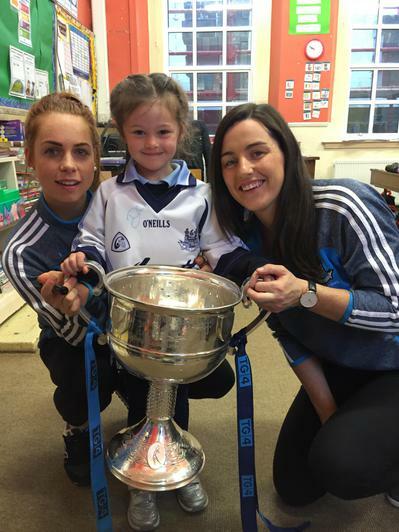 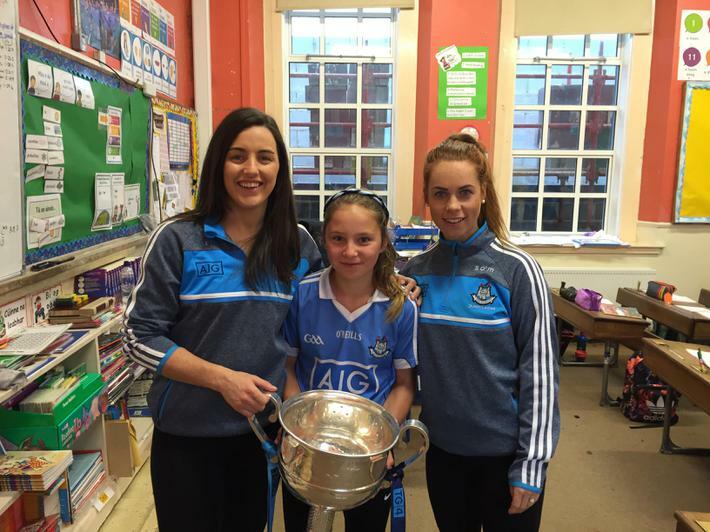 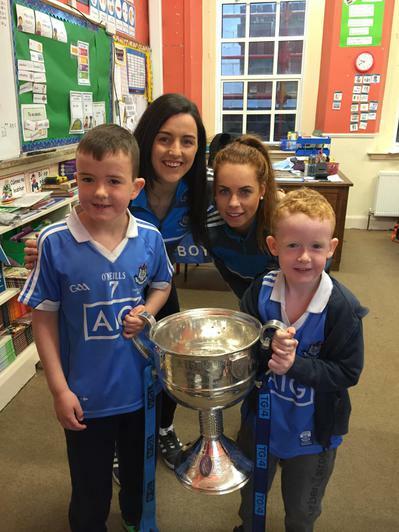 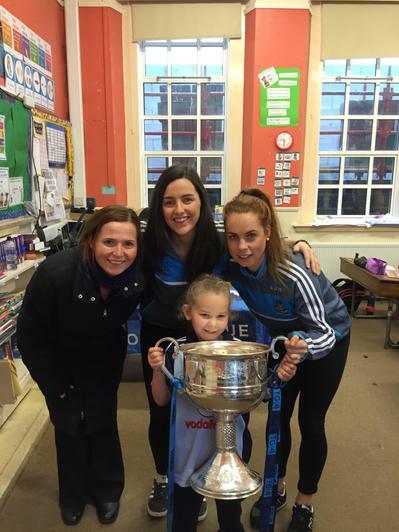 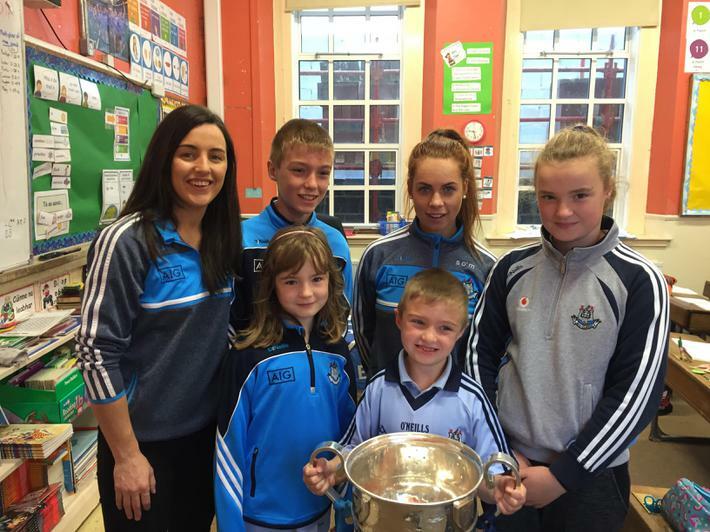 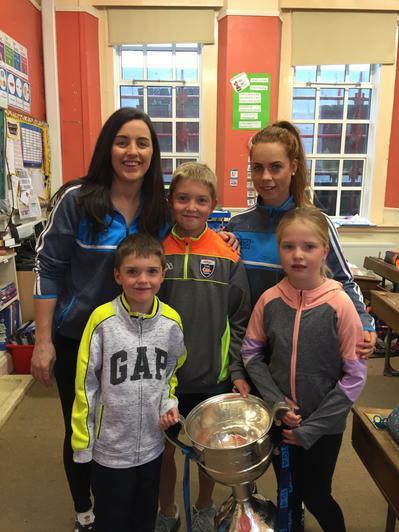 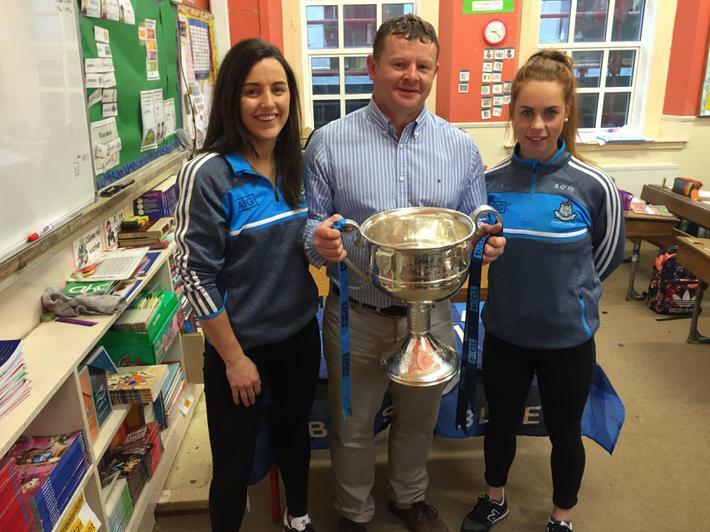 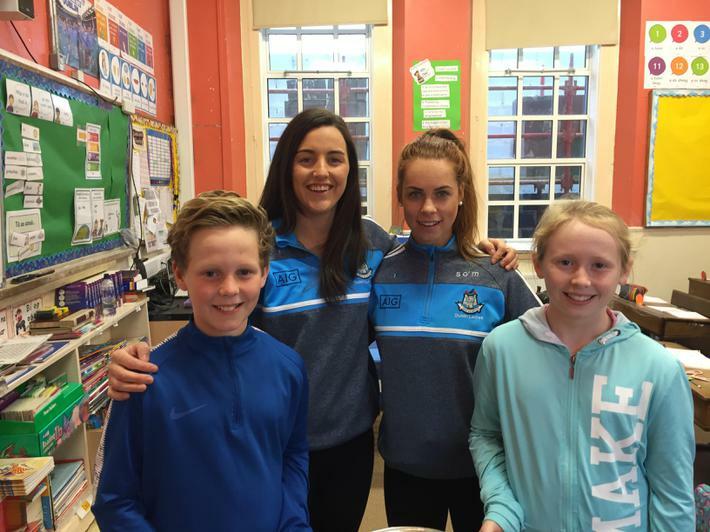 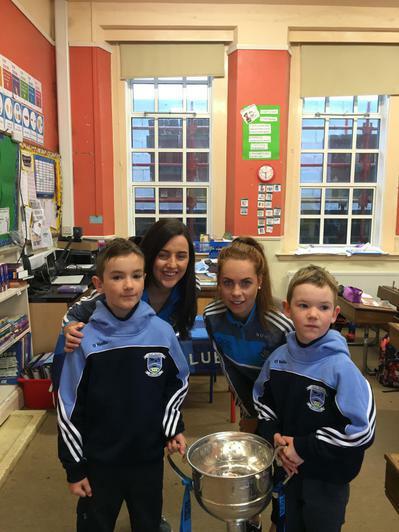 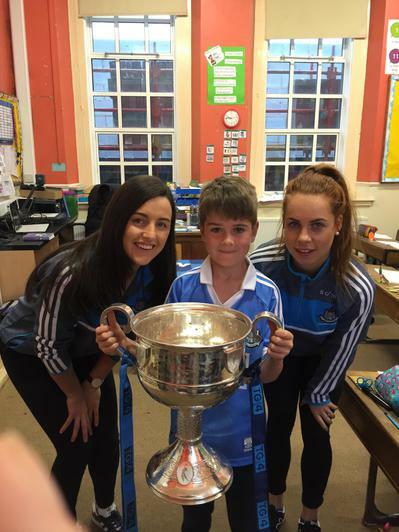 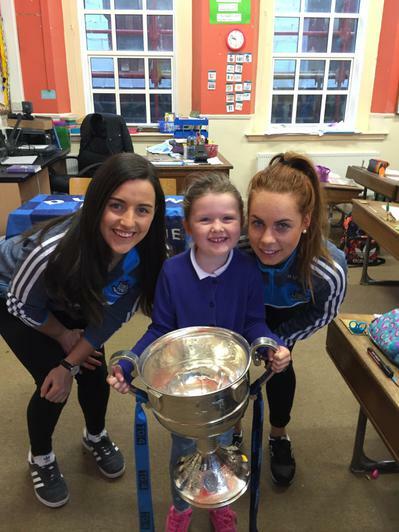 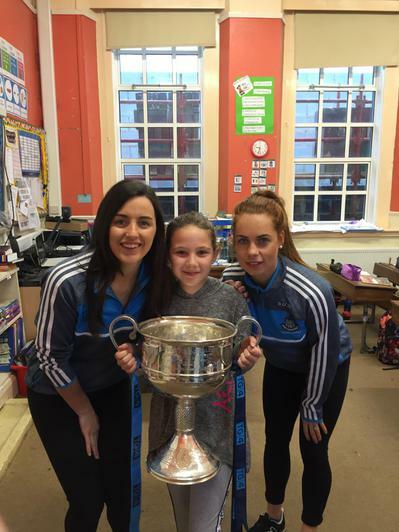 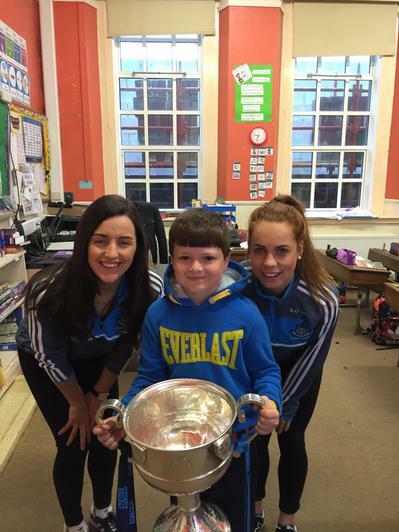 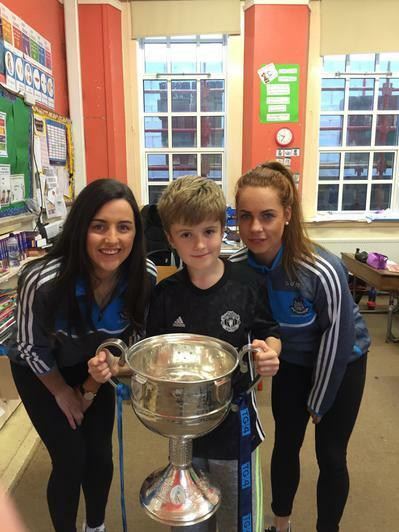 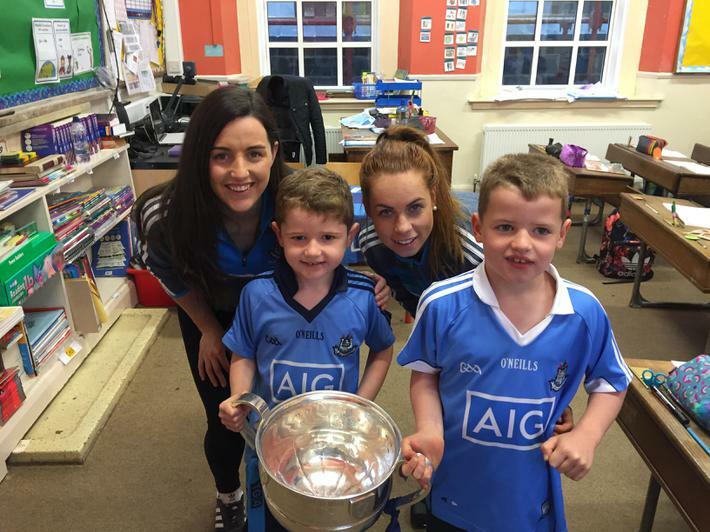 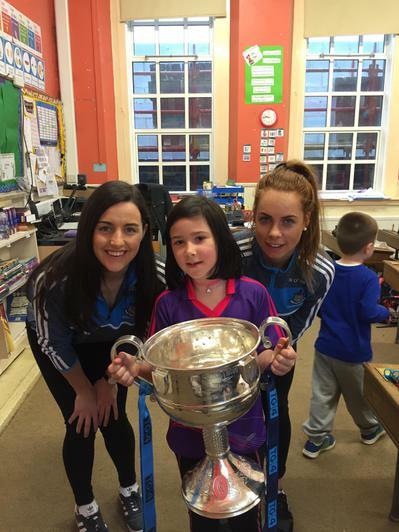 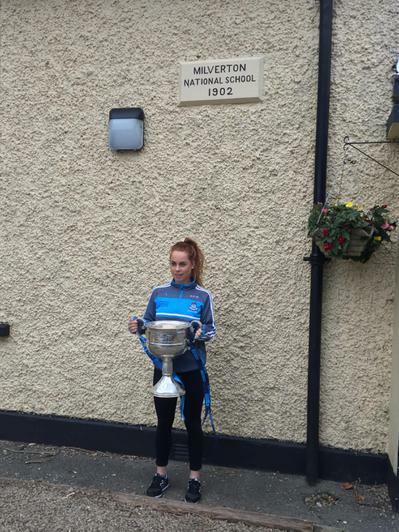 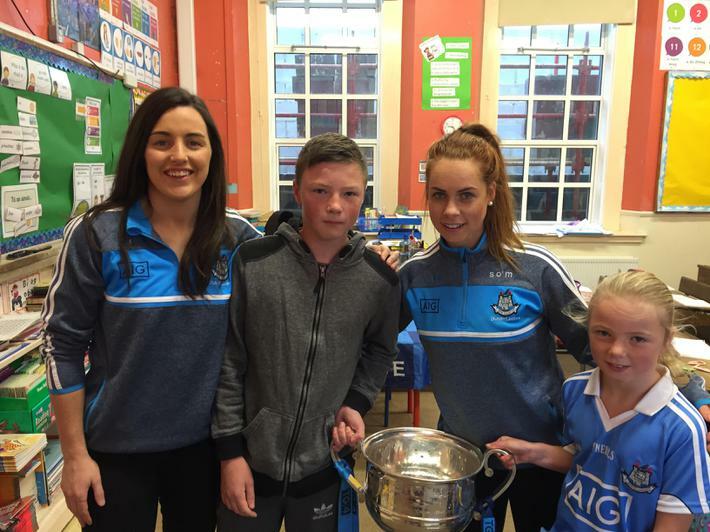 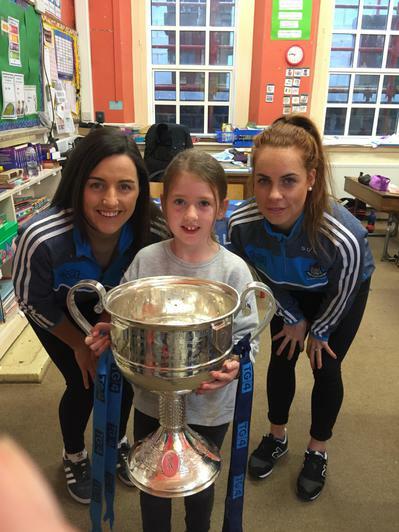 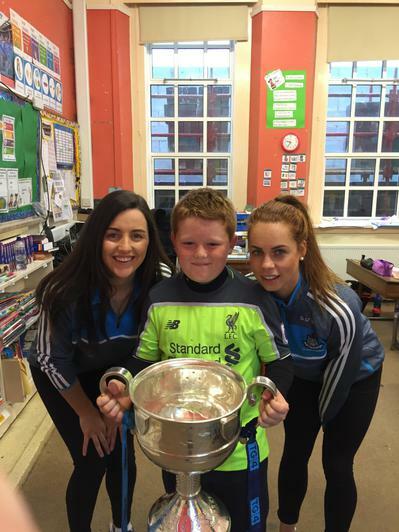 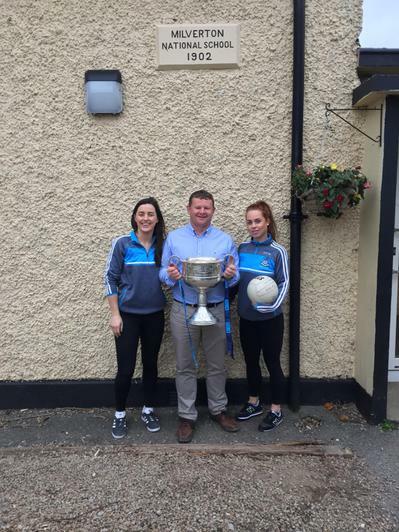 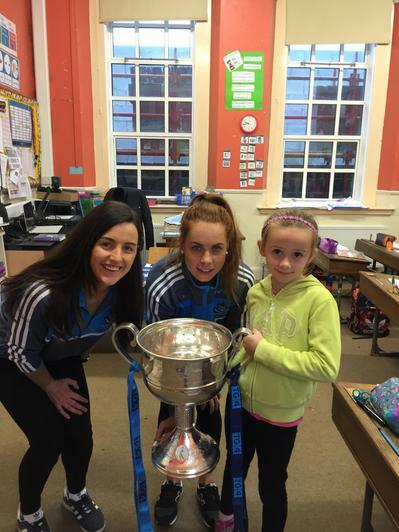 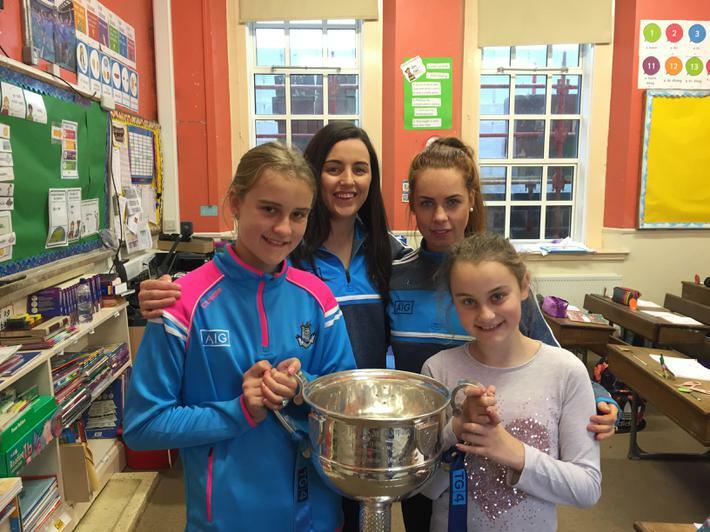 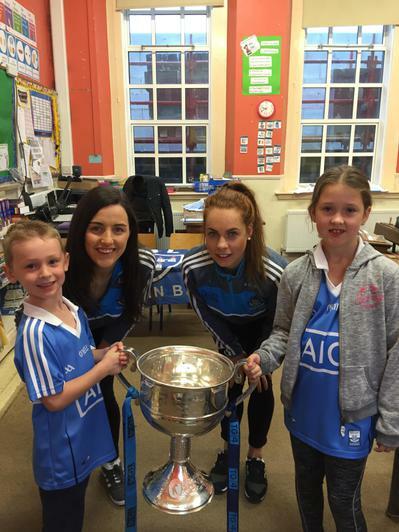 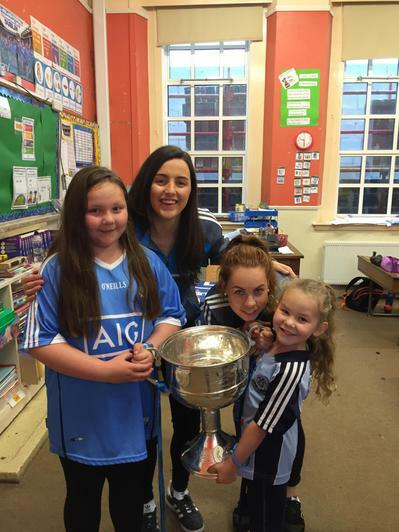 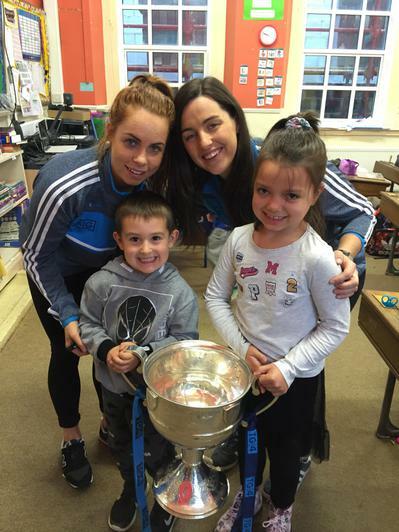 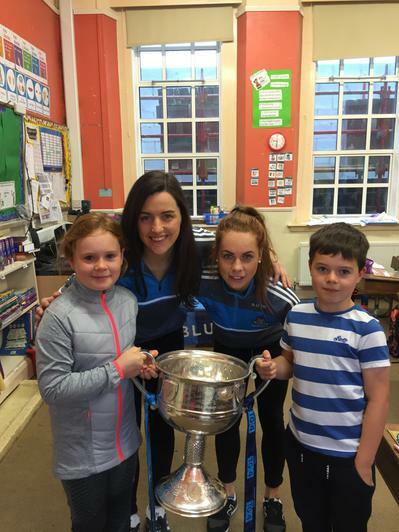 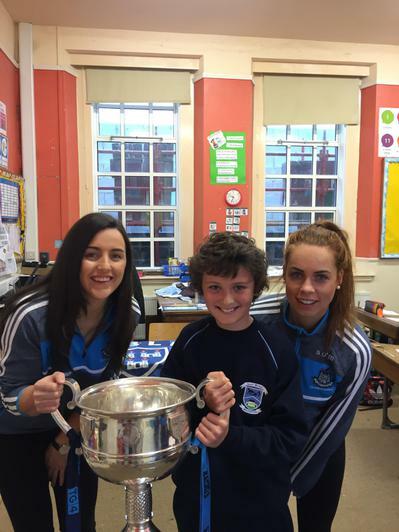 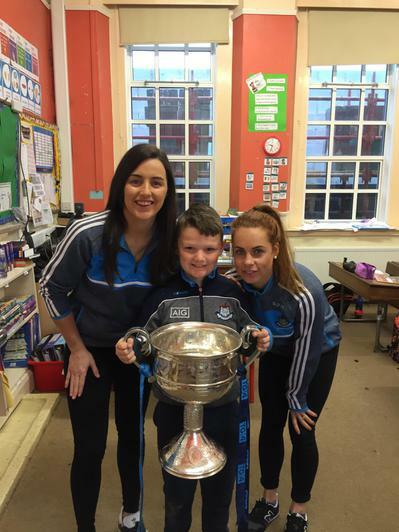 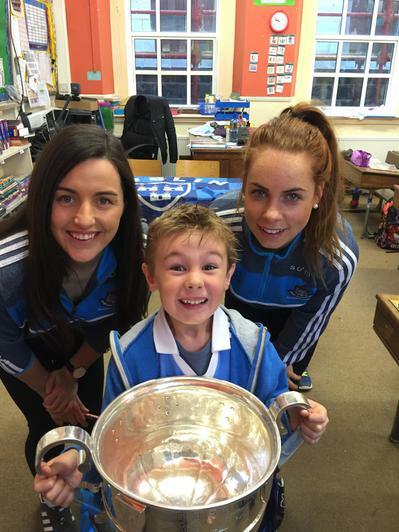 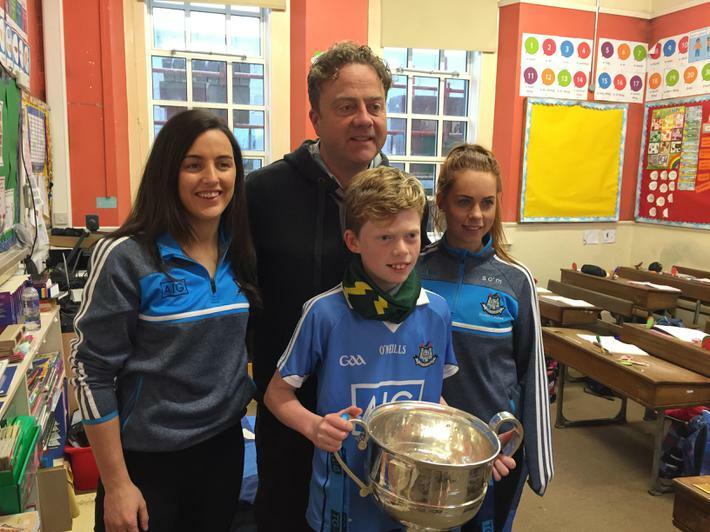 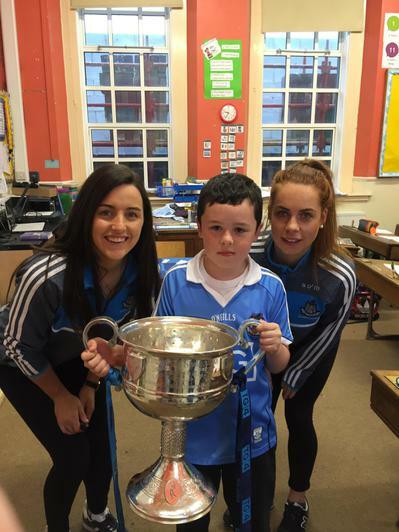 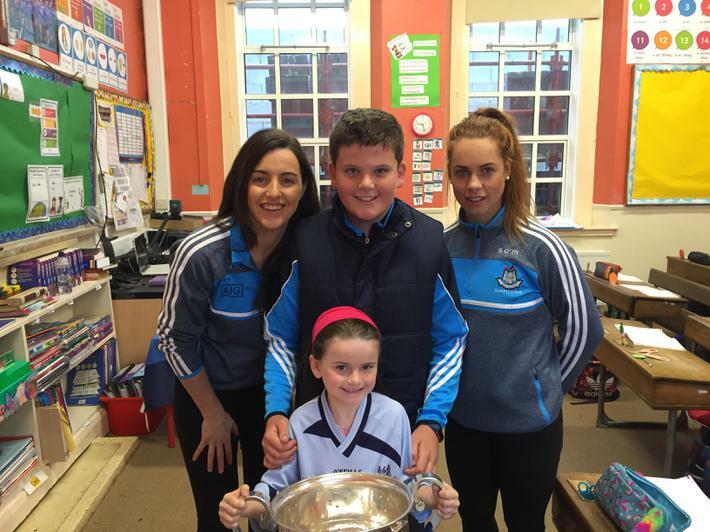 On Wednesday 4th of October the Ladies All-Ireland Trophy was brought in to the school by Lyndsey Davey and Sinead O'Mahony. 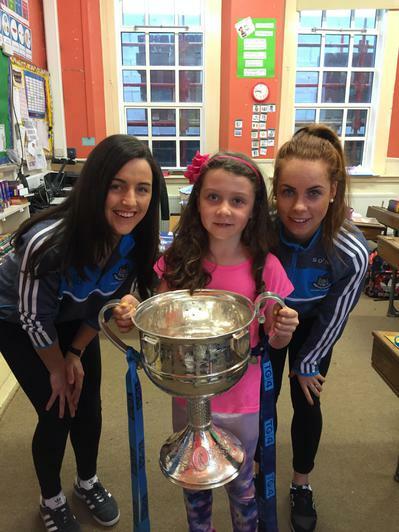 Sinead of course is a past pupil of Scoil Moibhi. 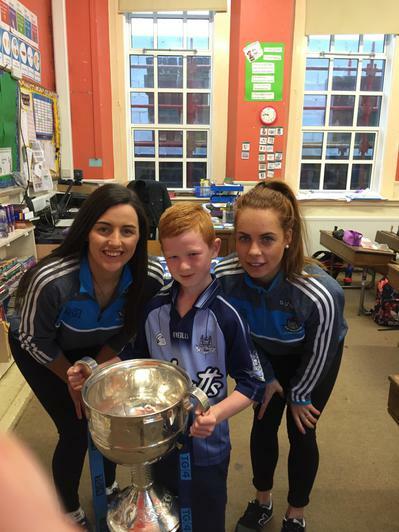 The two players were fantastic ambassadors and took time to get photos with everyone and sign autographs. 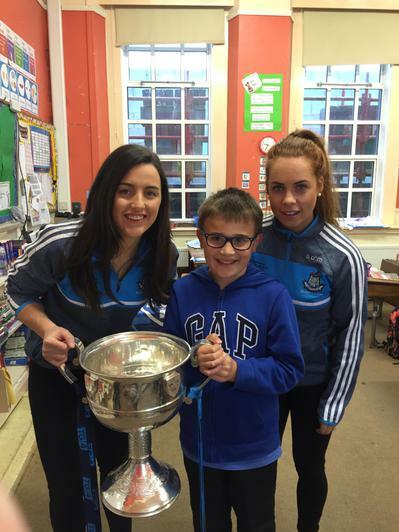 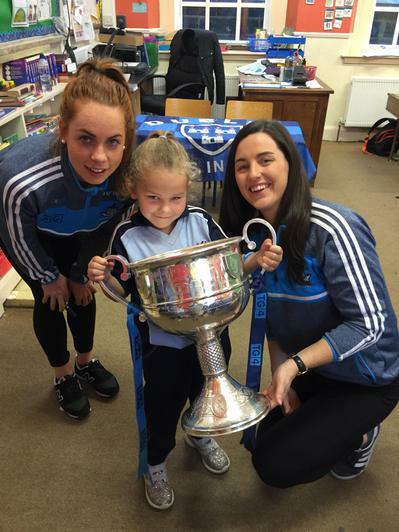 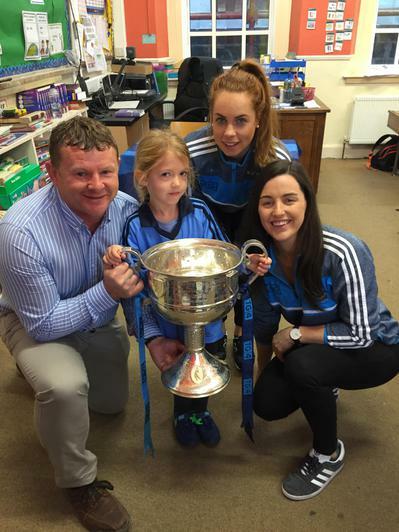 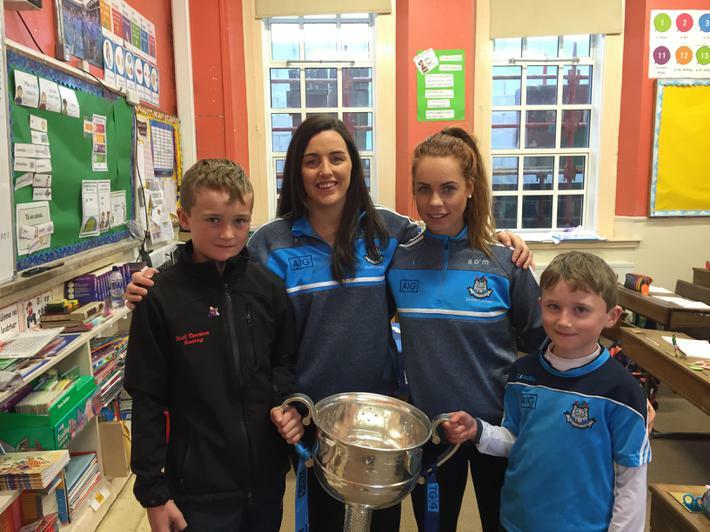 Thanks to Lyndsey, Sinead and Johnny Beggs and all at Skerries Harps for organising the visit.